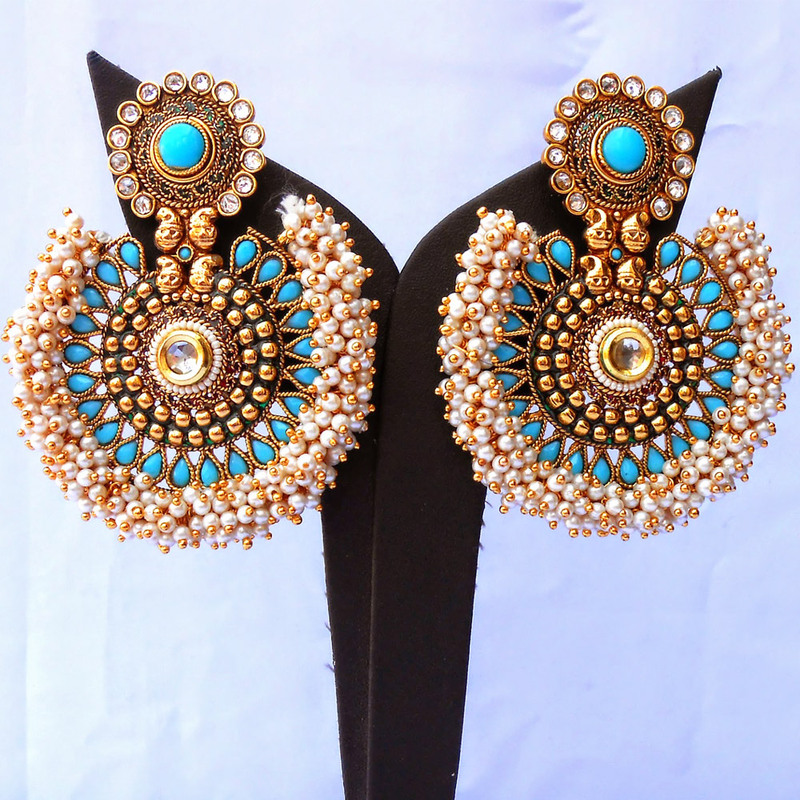 This pair of pearl studded turquoise ram leela earrings creates quite an alluring effect through the presence of gleaming pearls on its edge, which works Read More..in tandem with the turquoise beads to make it so very gorgeous. Moreover, the white stones present on the stub and elsewhere work their magic by contrasting nicely with the purple beads, as well as, the gold plated brass body of the earrings. Therefore, this pair of earrings makes for the perfect candidate for adding a dose of glamour to its wearers overall look through its effortless charm and beauty. Show Less..